The bi-annual boutique woodland festival, Forbidden Forest is formulated to allow the gathering of like-minded music lovers within the intimate surroundings of the forest wilderness. 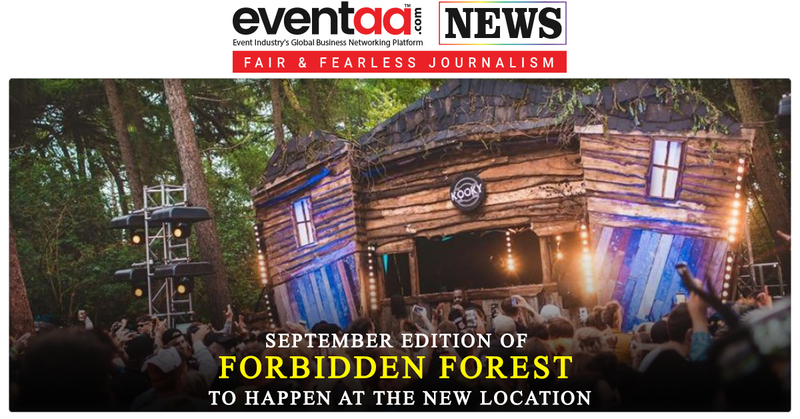 Now, Forbidden Forest has revealed the location for its second edition of the year – Wymeswold Forest in Leicestershire – taking place on 8 September. At this festival, the revellers will be given a chance to explore new, undiscovered parts of the forest, soundtracked by the five stages at the event. Wymeswold forest is located close to the Wymeswold airfield and was used as a World War Two firing range and training ground for the MOD. Forbidden Forest celebrated its third anniversary this year with a successful May edition. The series was created by a team of rave enthusiasts with a desire to challenge convention within today’s festival and club circuit and is inclusive with a distinct attitude that’s reminiscent of the UK house scene from decades before. Take a step closer to nature in an environment where getting lost, physically and musically, will not be a waste of your time. Twelve hours of hedonism set in the heart of the woods.